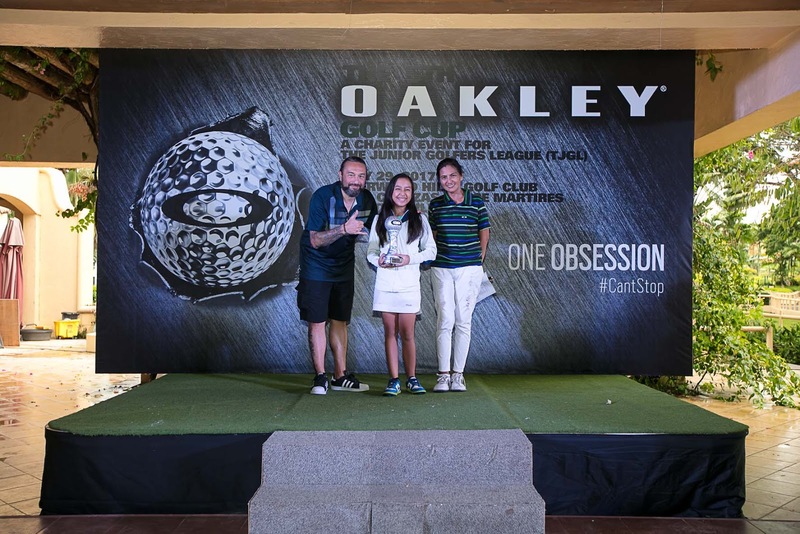 Now on its fifth year, Oakley was once again proud to host the Oakley Golf Cup, with participants comprised of CEOs, celebrities, seasoned players, aspiring athletes, golf enthusiasts, as well as the media who swung their golf clubs for a cause on May 29, 2017 (Monday) at the Sherwood Hills Golf Club. 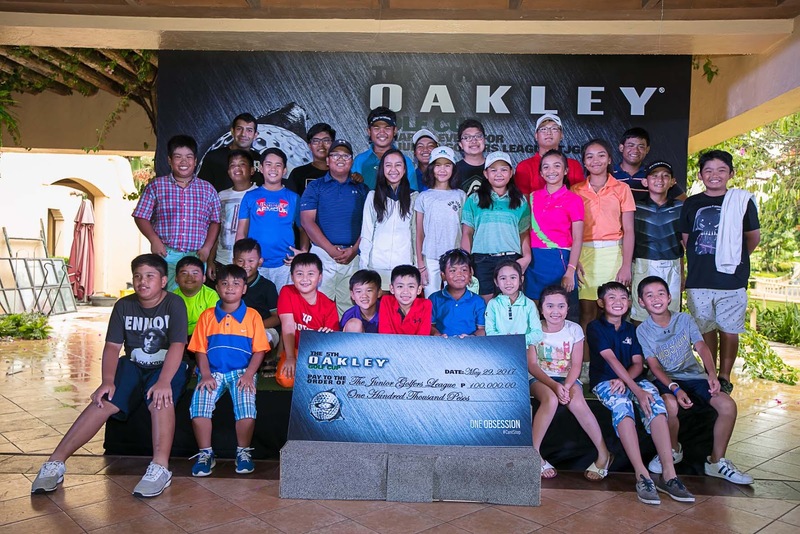 This annual charity event for the benefit of The Junior Golfers League (TJGL) is presented by Oakley to encourage a thriving competitive golf future for the country by developing the potential of young, talented golfers such as the TJGL, the grassroots development league of the Junior Golf Foundation of the Philippines. 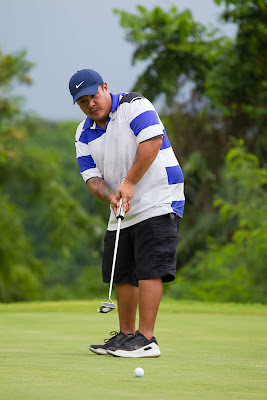 Despite the tough competition, the players enjoyed the 18-hole system 36 game. Skills, patience and their heart for golf were tested, as playing golf is not a walk in the park, but Oakley’s Prizm Lens Technology has brought to the game to a whole new level of clarity. In the Men’s Division Class A, Jeff Bernaldez emerged as Champion scoring, with 74-06 = 68 and Jeorge Gallent winning 1st and Joey Anclano bagging the 2nd Runner up scoring 69 and 70 respectively. Meanwhile in the Men’s Division Class B, it was Vandolph Quizon who came out on top with a 92-20 = 72, followed by Rico Tolentino as 1st Runner Up, scoring 92-20= 72 and Jonjon Dela Rosa as 2nd Runner up with 92-22 = 72. In the Men’s Division Class C, the top prize went to Kim Cabatit with a score of 103-31 = 72, with Lorenzo Dela Paz coming in as 1st Runner Up scoring, 103-27= 76 and Benedicto Adorable as 2nd Runner up with 104-28=76. In the Women’s Division, Vangie Omlang emerged as Champion scoring 84-13= 71 and Sheila Ward winning 1st and Marissa Vergara winning 2nd Runner up scoring 83-11 = 72 and 87-14 = 73 respectively. 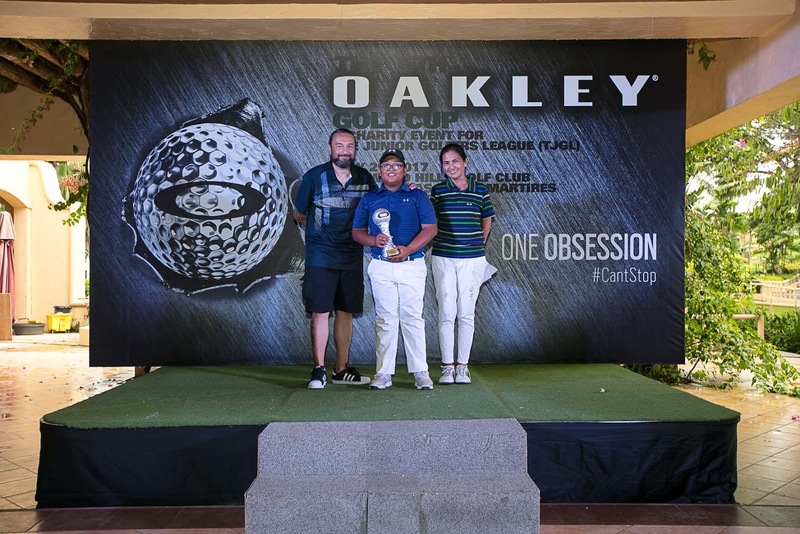 The Junior Golfers also showed their talent for the game – in the 8 & Under Boy’s Division, Patrick Tambalque was named as Champion with a score of 91 + 92 = 183. In the 8 & Under Girl’s Division, Celine Abalos came in first with 98 + 92 = 190. For the 9 – 12 year old division, the champions were Sean Granada with a score of 70 + 77 = 147 and Annika Chua with a score of 87 + 88 = 175. Finally for the 13 – 18 Division, the top prizes went to Josh Jorge with a score of 76 + 73 = 149 and Trish Lazatin with a score of 97 + 99 = 196. Special awards were also given to the players with Jorge Gallent winning the Longest Drive award; Alan Canapi for Most Accurate Drive; Longest Putt Hole for Nick Ratuiste; and the Nearest to the pin hole award for Alex Montemayor. As a brand that has always been known as the pioneer in eyewear and sport specific gear, Oakley is still pushing boundaries through its trailblazing innovations. 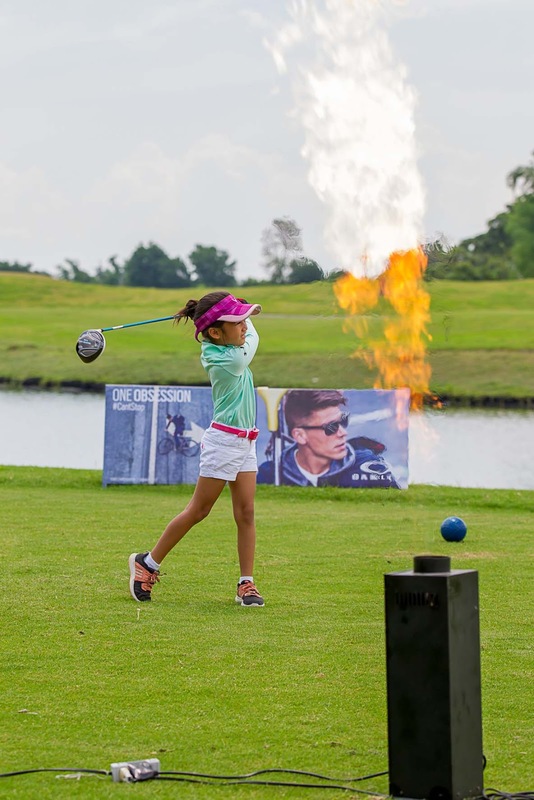 The brand has revolutionized performance specific eyewear and gear; and The Junior Golfers League of the Philippines is one of the beneficiaries of such innovations. Since 1975 Oakley has continuously encouraged and supported aspiring sportsmen to nurture their athletic abilities by providing them not only with innovative gear to enhance their performance, but also by offering opportunities that allow active individuals to hone their skills through friendly competitions such as the Oakley Golf Cup. Oakley’s products also help athletes of all ages perform even better in their chosen field. PRIZM™ Sports features various lenses tailor made for specific tasks- the Golf lens improves contrast for better separation of color and gives you more depth cues to gauge distance and grass conditions to predict ball speed. The Road, Trail and Field lenses are best for grimy, dusty and rocky terrains. Deep Water, Shallow water lenses utilize the Prizm Lens technology to fine tune color for water environments. And for the everyday grind PRIZM™ Lifestyle promise enhanced details making everything vivid and vibrant, enhancing detail for an optimized experience. 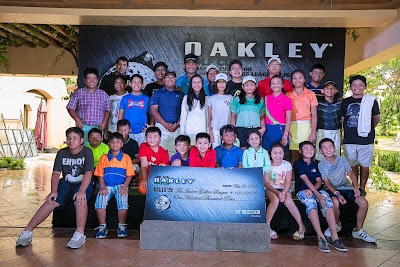 Oakley’s One Obsession is sports – it has become a lifestyle and lifestyle is about individuals, Oakley thanked all the committed individuals who participated in the charity event for the future golfers of the nation, for the support and love for the obsession with the sport. And as the commitment to sports is not just a hobby, but a lifestyle, Oakley celebrated the 5th year of its golf cup by sharing the Oakley #CantStop Campaign– an invitation for all individuals to wear their commitment to the sport with pride.